Clive Thompson LRPS Photography: office worker with 1958 calendar. office worker with 1958 calendar. 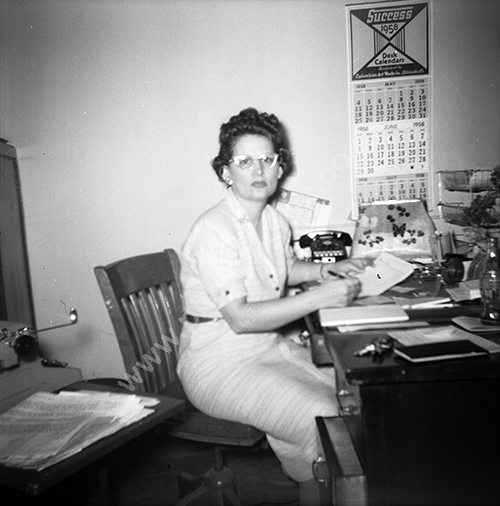 Company owner working in her office under a 1958 calendar and wearing typical 1950s spectacles. For commercial use of this photo, including use on another website, please visit Alamy.com and search for M5JJCT. For a one-off print please see below.